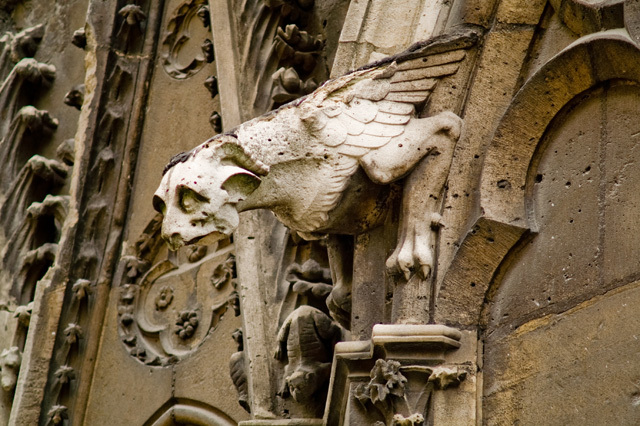 Centuries ago, architects added gargoyles to most of their large buildings. 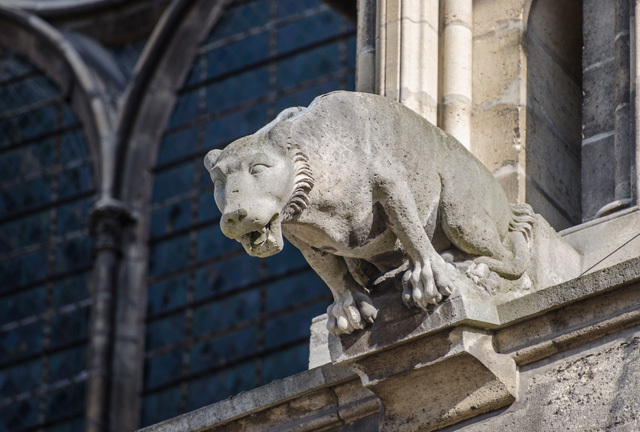 These carved stone grotesques most often had a spout, designed to convey water from the roof and the side of the building. This prevented rainwater from running down (and eroding) the walls. A simple spout would have been more than sufficient, but that would not have been fun for the architects at all. 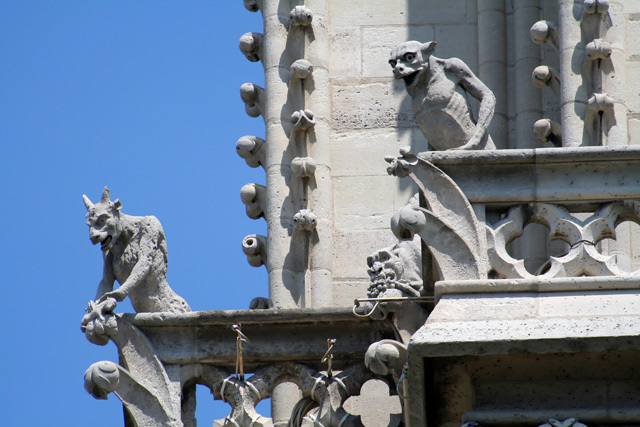 Most of the gargoyles and ornaments they designed were unique, and not only protected the buildings from water, but also from any evil or harmful spirits. 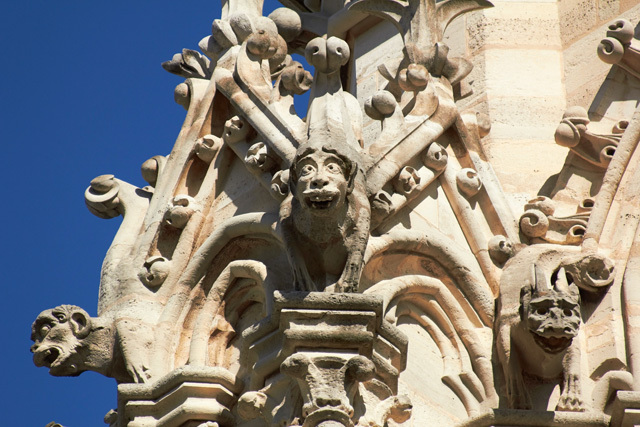 If there’s one building known for the excessive use of gargoyles, it must be the Notre Dame of Paris. 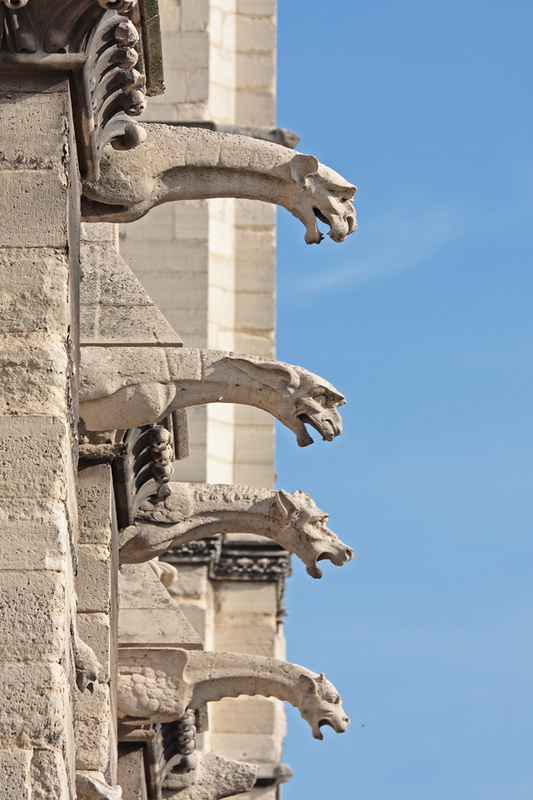 Over 5,000 gargoyles, chimeras and other sculptures guard the walls of the immense gothic church. 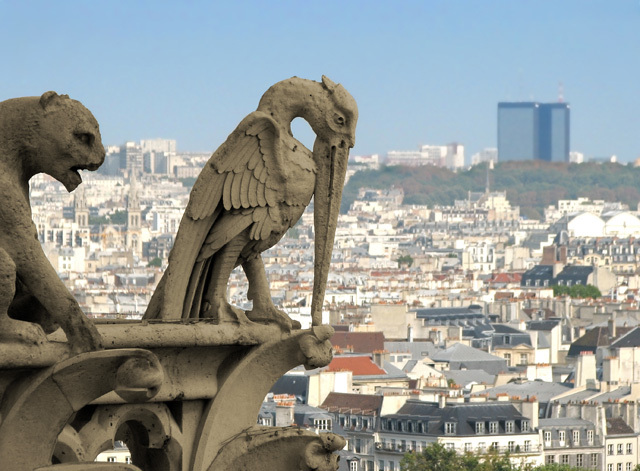 Most of them have been doing this for centuries and are awarded for this with a stunning view over the French capital. Especially in Nothern Europe, they know what to do with a bucket of paint. Grey, boring buildings are easily turned into colorful pieces of city art. 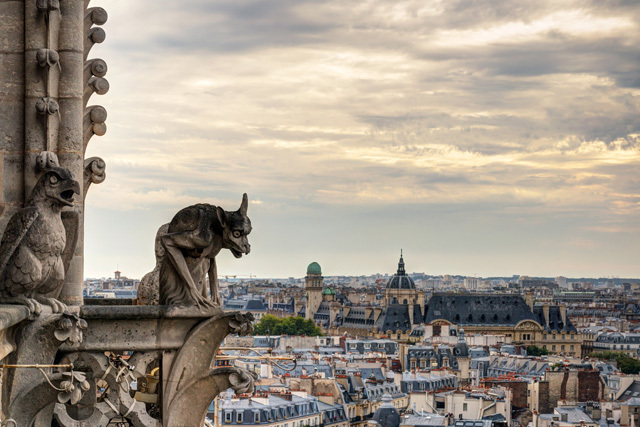 The streets of these ten European cities are capable of cheering up even the grumpiest tourists. 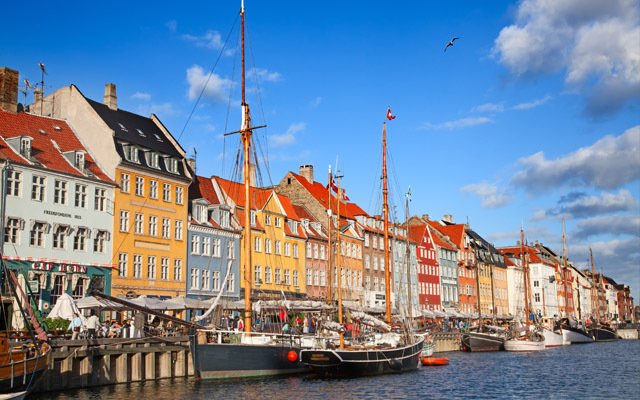 Copenhagen has lots of houses in stylish pastel colors, especially in Nyhavn, or New Harbor. Lots of these houses, some of which are over 300 years old, have been turned into a cafe or restaurant during the past few decades. It’s a feeling almost any traveler has experienced. When you’re planning your trip, you enthusiastically draw a circle in your travel guide around a landmark you’ve wanted to visit for a long time. But when you finally see it in real life, your first reaction is “THAT’s it?!?”. We asked just over 1,300 travelers to share their most disappointing travel experience. 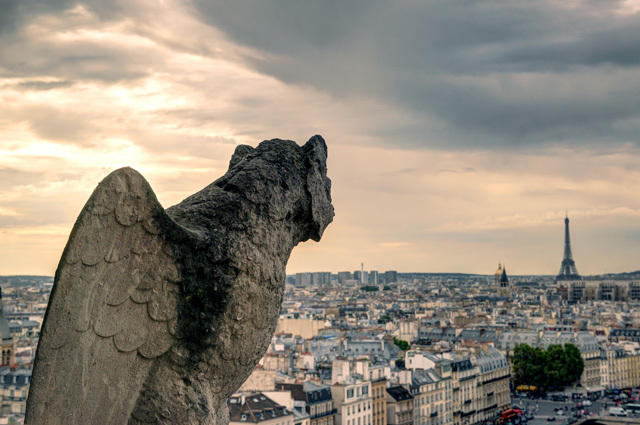 The result is a list with ten sights that are often praised by local tour guides, but turn out to be real tourist traps that you’d be better of avoiding completely. Crisis, shmisis. The travel industry may have took a few punches, but it’s definitely far from knocked-out. The ten most expensive hotel rooms and presidential suites in Europe all have a nightly rate that exceeds your and my monthly salary combined and are usually booked nearly every week end. Their top clients? Probably bankers and oil company CEOs. 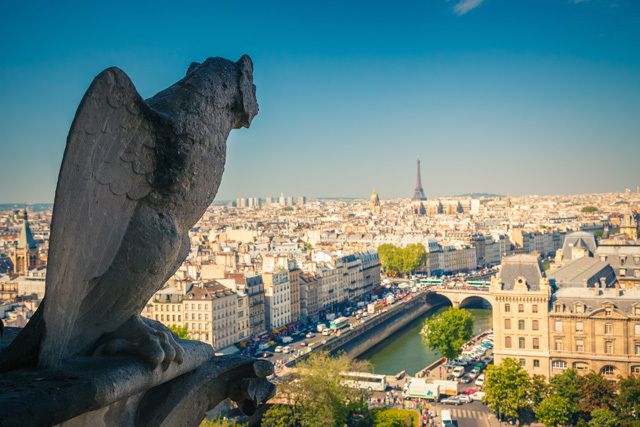 The Champs-Elysées is at walking distance from the Four Seasons Hotel, in the heart of the French capital Paris. The Royal Suite measures over 2,600 square feet, and has a stunning view over a private garden with beautiful art deco fountains. 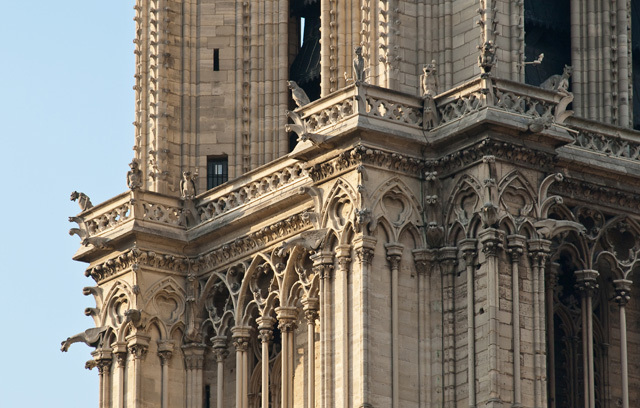 Although religion is playing a less prominent role in European civilization nowadays, churches, mosques, synagogues, cathedrals and basilicas still play a very important role in the city landscapes of most European cities, and tourism as a result of that. 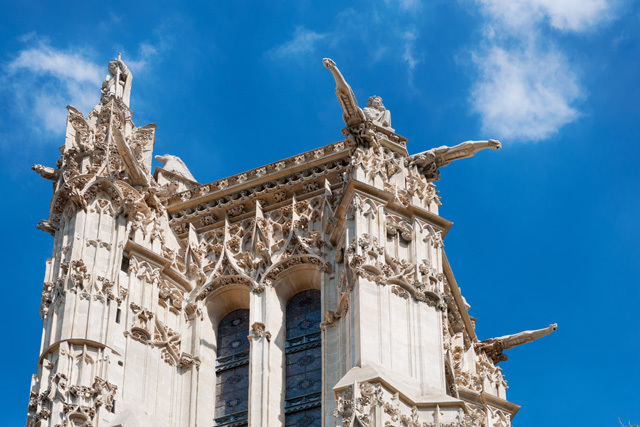 Erik, the Europeish editor with the most spare time, got the assignment to select the most beautiful religious buildings in Europe. As Erik also has a difficult time making choices, the result is a list with 79 impressive (Wieskirche), unusually located (Santuario di San Besso, Meteora), or uniquely designed (Hallgrimur, Chiesa di Dio Padre Misericordioso) churches. Those Welsh rainy days serve a purpose: reflecting the beauty of remarkable buildings. If you’ve traveled through Europe by train, you’ll surely know one thing: nearly every station in Europe deserves to be stopped in. Amazing architecture, beautifully decorated buildings and immense passenger platforms not only accommodate whistling trains, but gasping tourists as well. We asked just over 1,100 visitors of Europeish.com to share their opinion about twenty European train stations, and compiled a list with the ten most beautiful railway stations on the European continent (Russia and Turkey included), which you can find below. 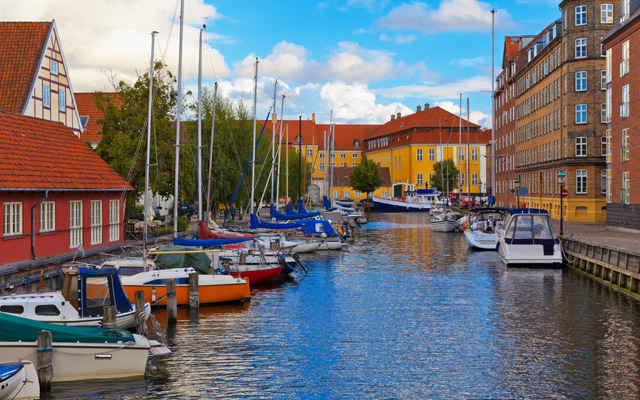 Europe is home to a long list of fabulous driving holiday destinations. Thanks to the varied and spectacular landscapes of the continent and its mix of culture you wont be driving far without seeing something amazing. 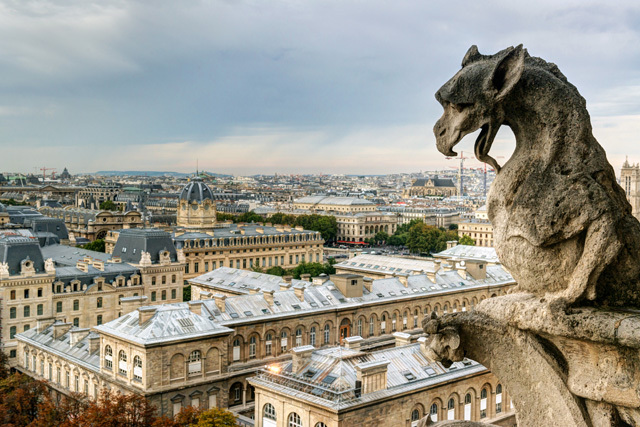 There are many great road trip destinations in Europe and we’ve listed a few of them below. Just make sure to get off the highway as soon as you can, so you can enjoy the true beauty of the country you’re visiting. There is no better country to explore by car than Germany. 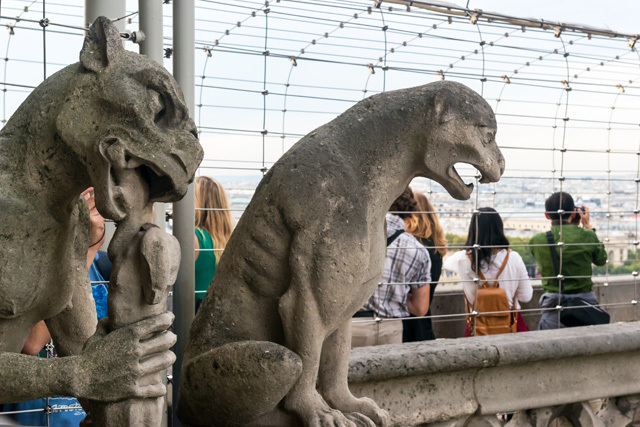 A quick trip between Dresden, Berlin, and Munich is necessary for any history buff. Taking a car also allows vacationers in Germany to absorb the stunning and vast German landscape in a manner that would not be possible by train. Head down to Austria if you want to extend your road trip and see a little bit more of this wonderful region. You’ll have to park the car for a few days during Oktoberfest but other than that you’re set. If you’ve got a lead foot then you might try Germany’s Autobahn, as this highway does not have a speed limit. The Tuscan land is rich of hilly landscapes, characteristic cypresses and charming romantic accommodations in splendid locations. Traveling along white country roads one spots many farmhouses, dotting the countryside on hilltops surrounded by perfectly groomed vineyards and fields. Many of these farm houses were restored to create Tuscan apartments and hotels. These stays are in harmony with the natural environment they stand on. Besides stunning landscapes, the Italian province of Tuscany has plenty of Romantic accommodations. However, four of these accommodations are very special. They are the perfect hideaway for a romantic experience, and each one is lovingly enriched by unique Tuscan accents. The first is the small and welcoming Relais Sant’Elena near Bibbona. Only fifteen rooms to give guests the peacefully romantic stay they seek. Loggias, brick walls, a lush garden abounding with flowers, and the swimming pool set amidst rolling hills shape the outdoors. The interiors are dominated by soft beige and its shades. The hotel was carved out of an old farmhouse, therefore all bedrooms are unique for shape and details. Wood beam ceilings, stone walls and original cotto tiles, contrast the fluffy pillows, smooth draping and antique furniture creating a homely feeling that is rarely found in hotels. Just imagine waking up here and opening your day on the rolling hills of Tuscany below your window!